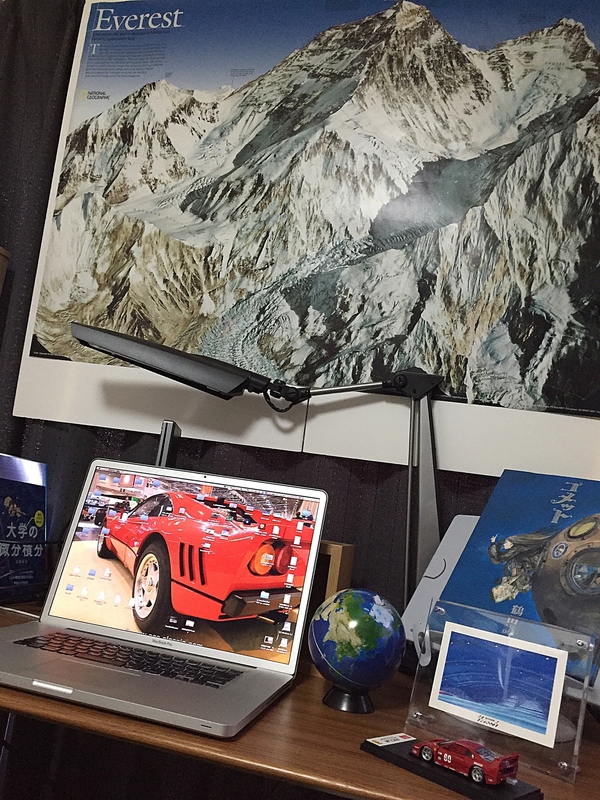 I introduce a poster of Mount Everest that soar on my PC desk. 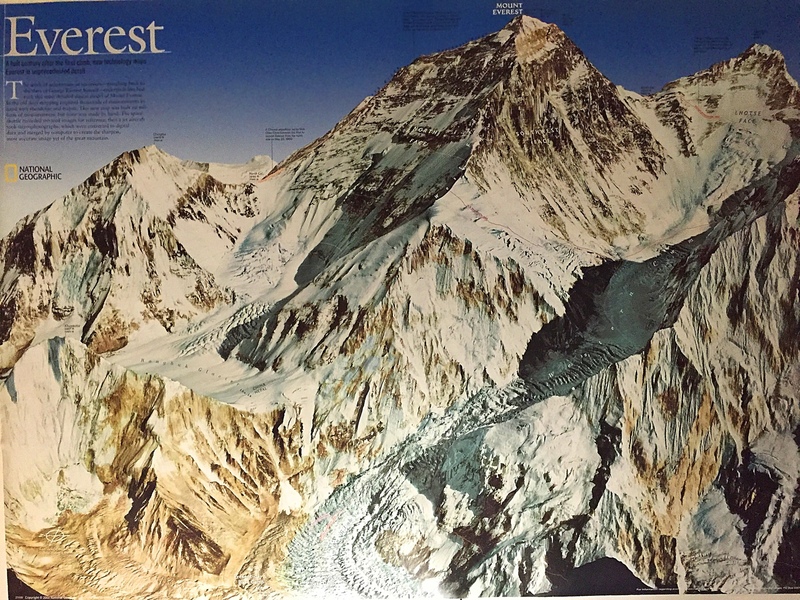 The Poster (in the back side a map) of the 50th anniversary of the Mount Everest human first climbing(Edmund Hillary) It is a thing of the release for 2003 years. The list price is $ 17.99, but there is a premium price and is sold in prices of double now. By the way, What happens if we slip on a snowboard from the Mount Everest mountaintop to base camp? I imagined it incidentally. 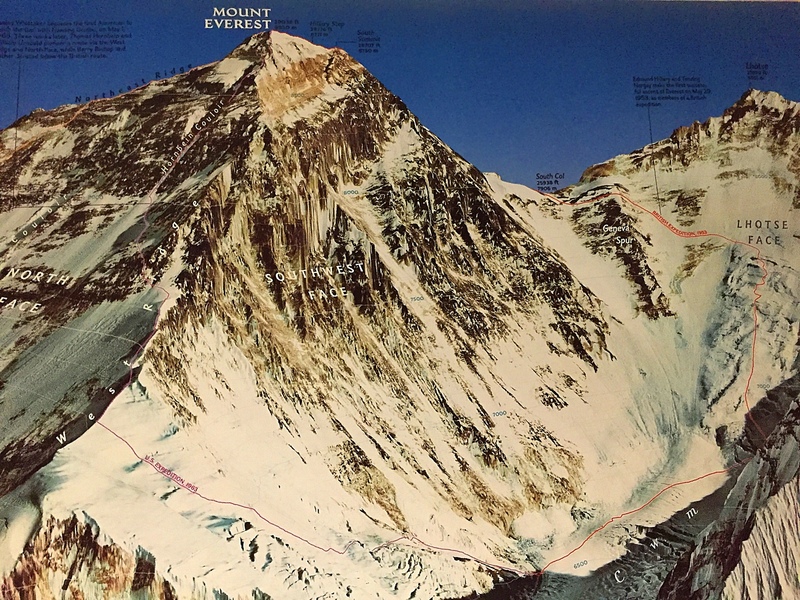 8,840m - 5,300m, a super downhill of altitude difference 3,500m, an unimaginable tough course. Oxygen of 1/3 than ground (atmospheric pressure 300hPh, boiling point 70 degrees of the water). Because there is very little air resistance, speed accelerates so as to be terrible!